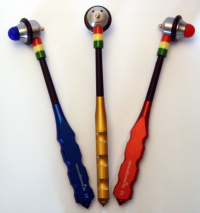 Neonatal/pediatric shirt pocket size reflex hammer. 6 inch length. Fixation face with temp tester ball nose. Two striking surfaces. Babinshi tip. Pocket clip and color rings. Hammer head made of stainless steel. 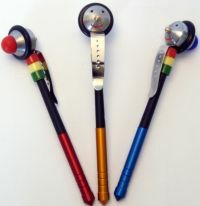 Lightweight pocket hammer, colored anodized aluminum handle with ergonomic finger grips. Available in Blue or Black handle. 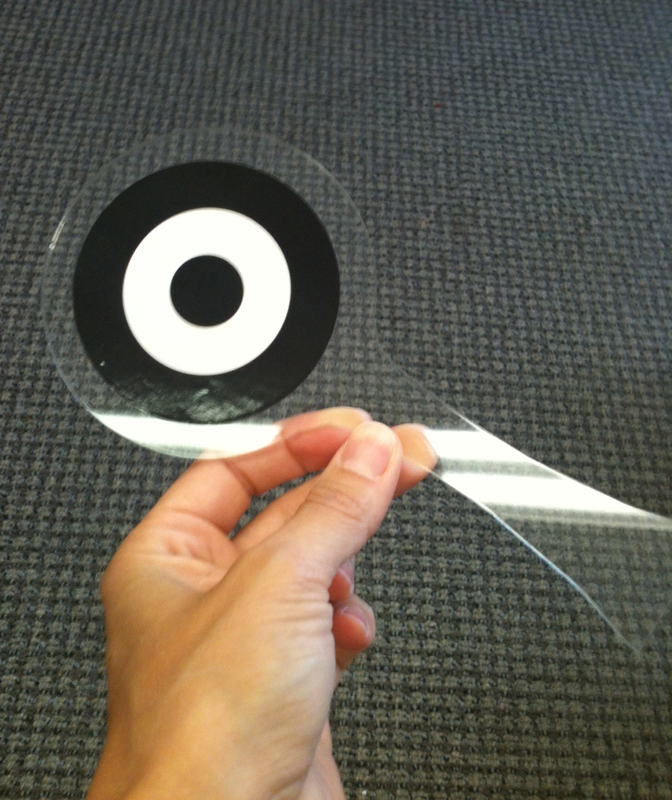 OKN Flag printed on quality paper stock. 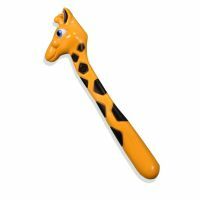 Giraffe hammer. 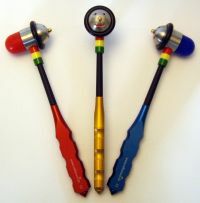 Popular with pediatric patients. Made of soft rubberized plastic. Nicely weighted. There is a pocket side clip. 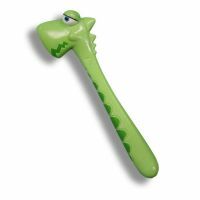 T. Rex hammer. Made of soft rubberized plastic. Nicely weighted. There is a pocket side clip. Made of soft rubberized plastic. Non-toxic material. Nicely weighted.